Yeah, the whole Bob Swift is getting a little out of control. You know he would have averaged 7 points with 6 boards this year, which is nice in its way, but there's no way he would have made more than a 2 or 3-win difference in the season. There was a lack of logic used in the decision to offer Wilcox more than the mid level exception. I can understand why the Sonics felt the need to give Wilcox more than the MLE, simply because they didn't want to relive the Radman/Reggie Evans/ etc. situation from a year ago, when you had all these guys playing for contracts and complaining about minutes. If you sign Wilcox to a 1-year, maybe he starts bitching when Hill benches him for poor play. No, the problem wasn't signing Wilcox to more than the MLE, it was signing him at all. Mike Dunleavy Sr. isn't an idiot; there was a reason why Wilcox would sit for months at a time - because he wasn't giving the team the effort they felt they needed. And that's the same thing that's happening now - except that the Sonics are on the hook for 2 more years of his crap at an exhorbitant salary. Look at it this way: the Sonics will be paying their power forward $12 mil next year and $13 mil the year after that - and all they're getting for that money is Nick Collison and Chris Wilcox. In the words of the great Bill Veeck, "It's not the high price of stardom that bothers me, it's the high price of mediocrity." Detroit desperately needs a backup guard, and Seattle desperatley needs a veteran big. What about a Wilcox/ Watson trade for Rasheed Wallace? Sounds great to me, but the Pistons can't be excited about acquiring Wilcox and his complete inability to play defense, and I don't think Rasheed would be all that thrilled about playing here. Say what you will about Sheed, but the guy is obsessed with winning, something he doesn't have in common with the rest of the Sonics. 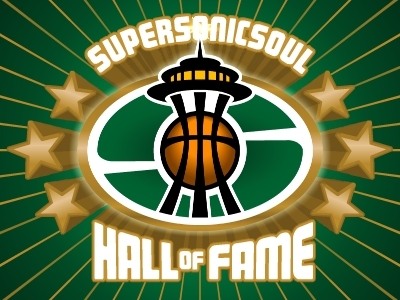 I think it's more likely the Sonics pick up someone like Dale Davis - an extra piece on a team. In other words, nobody that's really going to make a difference to Seattle's record. I agree with you guys. Sheed is going to be tough to acquire but the Sonics might be able to get a good veteran in DD or Nazi (they aren't the level of Sheed, of course). The Detroit Pistons won't trade Rasheed Wallace. Yet, that notwithstanding, Rick Sund could offer Mouhamed Sene, Mike Wilks, and Desmon Farmer to the Detroit Pistons for Dale Davis, a 2007 first-round draft pick, and a 2007 first-round draft pick (via the Orlando Magic). It's highly unlikely that either team would consummate that trade proposal, though. I, too, wouldn't agree to it. Davis would help some, but it's not worth giving up Sene to get him. I think the phrase "re-arranging deck chairs on the Titantic" would apply. Plus, I can't imagine the Pistons would surrender 2 first-round picks for the right to watch Sene sit on the bench for two years. They gave it a shot with Darko, and I don't think they'd try it again. Honestly, the only way I see this team getting better is by dealing Ray or Rashard. Anything else is just - as my uncle used to say - fiddle faddle. Arranging deck chairs on the titanic!! That's funny, I've never heard that one. 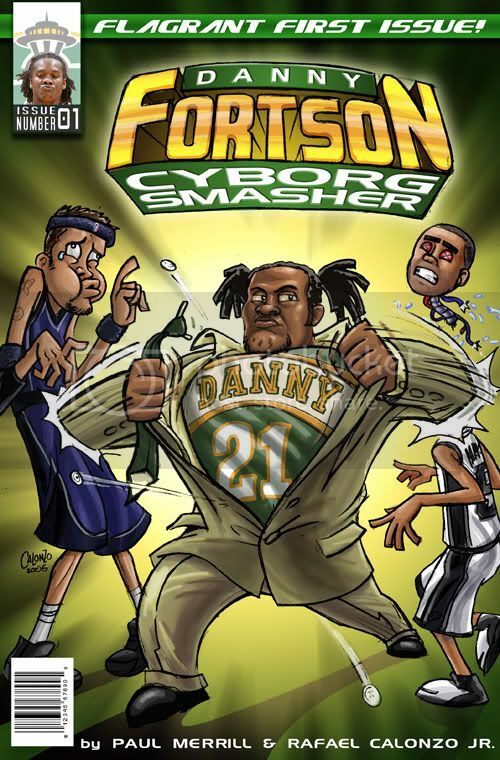 DD is great for the Pistons who pretty much have a center by committee with him, Nazi and sometimes Sheed, but he is probably a little bit too veteran for the sonics, I guess. I really like Rashard but I would like to see them try to move him for Artest--I think someone mentioned that before. Pray for Oden!